Design ideas for a classic back garden in Baltimore. 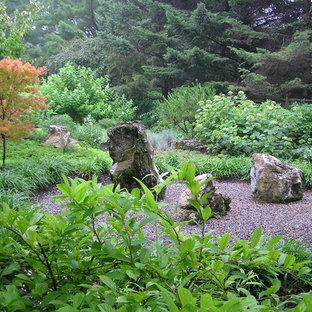 Joanne Kostecky Garden Design, Inc. Another area to view by the bench in this raked stone with moss rocks. 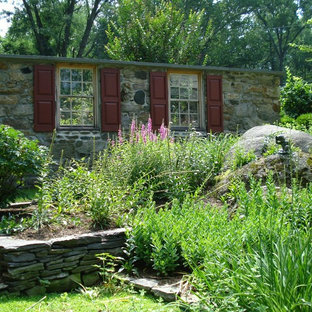 Inspiration for a world-inspired back garden in Philadelphia with gravel. Large contemporary back formal garden in Seattle with mulch. 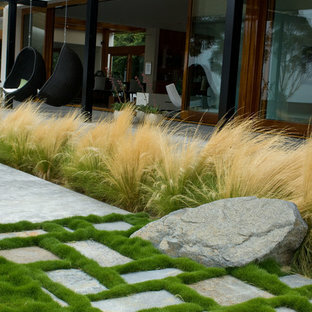 This is an example of a contemporary garden in San Diego with natural stone paving. 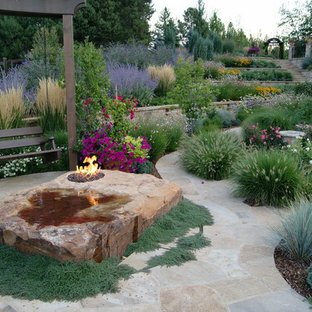 Design ideas for a mediterranean garden in Denver with a fire feature. 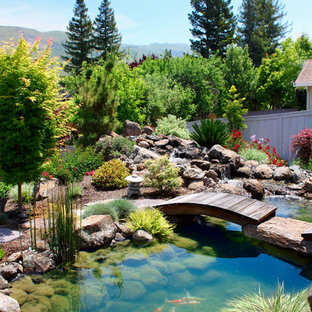 Inspiration for a world-inspired garden in San Francisco with a water feature. Design ideas for a traditional back fully shaded garden in San Francisco with a water feature. 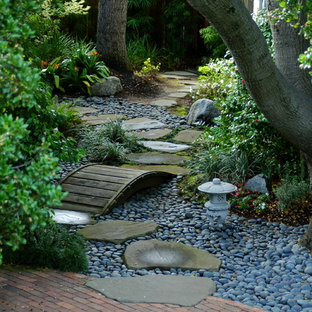 By Gardens by Gabriel, Inc.
Flagstone path meanders through Mediterranean plantings. Garden co-designed by Gabriel Frank and Nick Wilkinson of Grow Nursery in Cambria, CA. 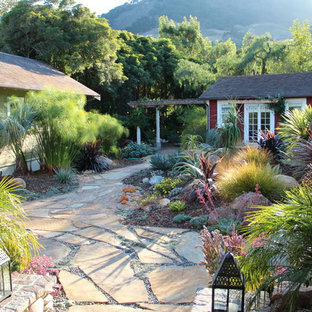 Photo of a mediterranean xeriscape garden in San Luis Obispo with natural stone paving. The new walkway was done using Belgard Urbana pavers with a Dublin Rectangle border. 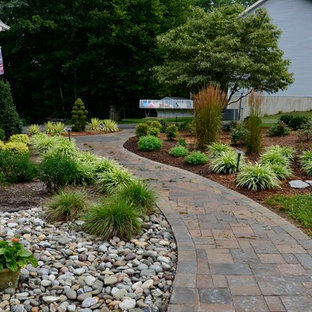 New plantings and flower bed design create amazing curb appeal. The photo is by CMWheelock Photography. 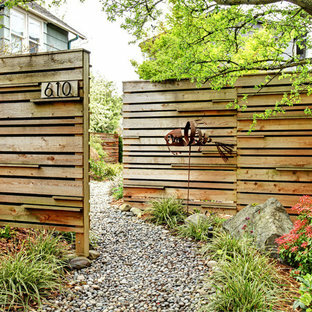 Photo of a contemporary front garden in Seattle with gravel. Inspiration for a large traditional side partial sun garden in New York with natural stone paving. Photo of a contemporary back garden in DC Metro with a water feature. Medium sized classic back xeriscape full sun garden for summer in Denver with natural stone paving. Medium sized mediterranean back formal full sun garden in Denver with natural stone paving and a water feature. 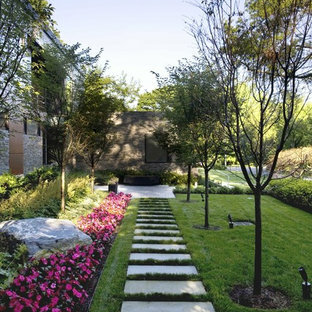 This is an example of a world-inspired garden in Minneapolis with natural stone paving and a garden path. This is an example of a classic back garden in Chicago with natural stone paving. 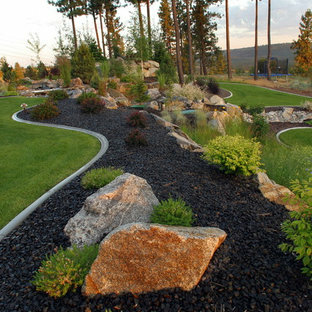 Photo of a world-inspired garden in Denver with a water feature.